Dr Nicholas Curmi is part of GANADO Advocates’ Capital Markets practice, where he advises on a broad range of capital markets, securities regulation, structured finance and financial services matters, including private and public offerings of securities, listing on Maltese as well as foreign markets, and the establishment of securitisation structures. 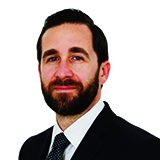 He has represented originators, arrangers and investors in securitisation transactions involving a variety of asset classes and has advised on a number of innovative deals that have made use of the unique benefits offered by Maltese securitisation vehicles. Nicholas was Co-Chair of the Malta EU Council Presidency 2017 Working Party on the proposed EU STS Securitisation Regulation, where he was responsible for leading the technical negotiations on the Regulation on behalf of the EU Council. Nicholas is also member of the Malta Stock Exchange’s External Advisory Board and is admitted to practise law in both Malta and New York. Dr. Nicholas Curmi advises on a broad range of capital markets, financial services, and corporate matters.